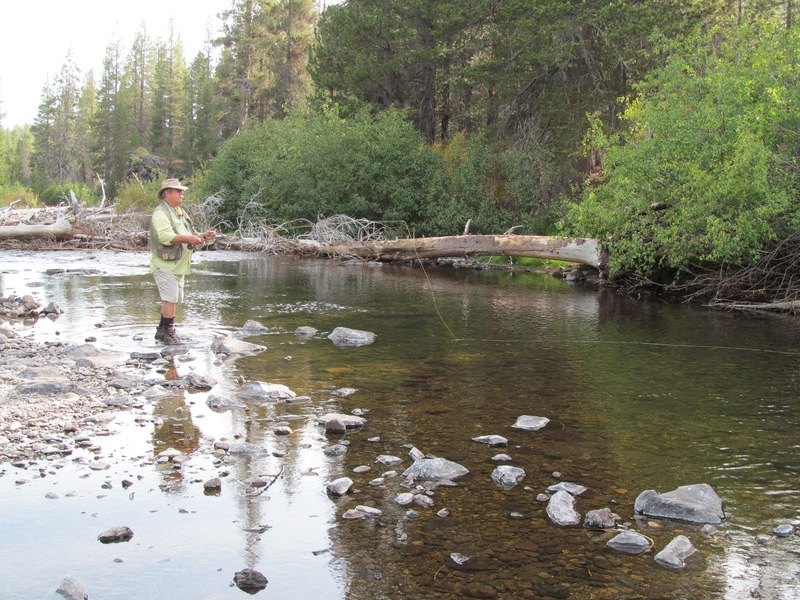 If the weather stays mild, California trout aficionados would do well to head to the mountains before the snow flies. Recently, Dennis Greninger and I drove north from LA to fish in the eastern Sierras. Although summer hatches were over, we found fish by prospecting with dry flies and nymphs. 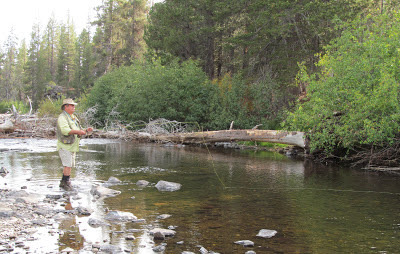 On the Middle Fork of the San Joaquin, we had two nights in a row where something brought fish to the surface. We used Mammoth as a base of operations for a three day fishing trip. Mammoth has two fishing tackle shops, good restaurants, a large Vons’s supermarket and some reasonably priced hotels. Here’s what we found . . .
Driving to Mammoth is dramatic. Driving to the Middle Fork takes the drama up another notch. The road climbs mountains and then spirals down into the river valley. 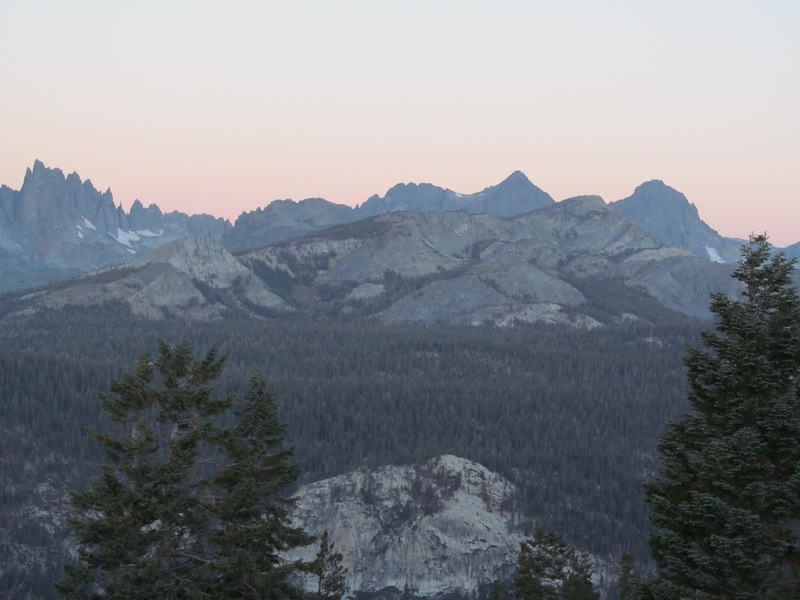 Of this drive, my friend, Carl Crawford, says, “The view of Minaret Peaks and the eastern section of Yosemite may be my favorite view on earth.” The photograph with this post is of the Minarets but Carl is right: nothing does justice to seeing the real thing. We caught native and holdover brown trout. 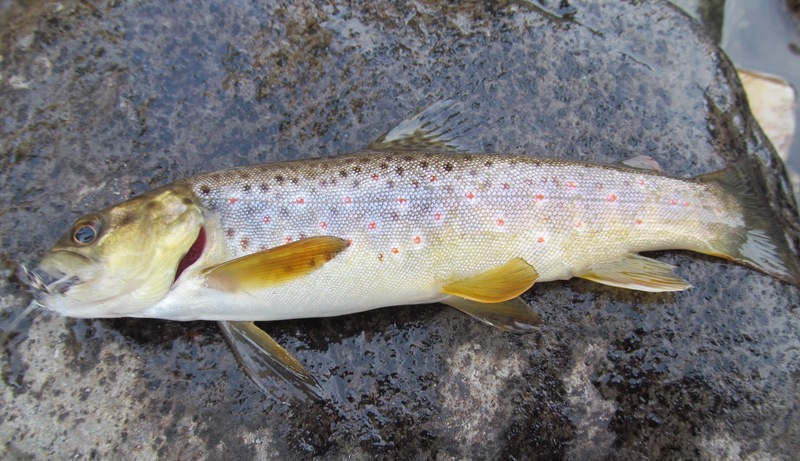 After a fishless month before, I caught a nice brown trout. ﻿﻿﻿﻿﻿﻿﻿﻿﻿﻿﻿﻿﻿﻿﻿﻿﻿﻿﻿﻿﻿﻿﻿﻿﻿﻿﻿﻿﻿﻿﻿﻿﻿﻿﻿﻿﻿﻿﻿﻿﻿﻿﻿﻿﻿﻿﻿﻿﻿﻿﻿﻿﻿﻿﻿﻿﻿Hot Creek: In upstate New York, the biggest angling hazards are abruptly rising waters from power dam releases or poison ivy. While fishing the canyon section of the public water on Hot Creek, I looked down and saw smoke coming out of a seep hole for a hot spring. Every so often, when the wind shifted, the sulphurous smell of other, larger hot springs wafted past. The springs are fueled by subterranean volcanic activity and are slightly radioactive, adding a frisson to the Creek’s otherwise enjoyable fishing. 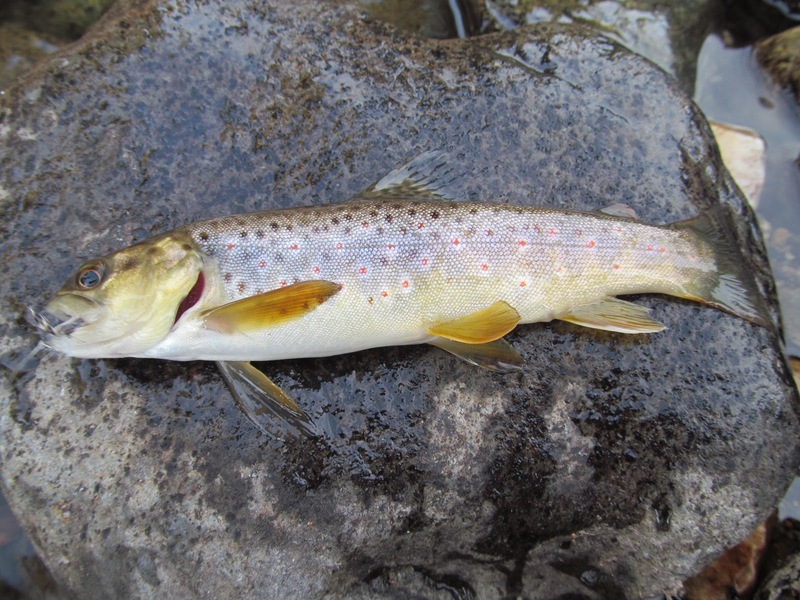 Come to think of it, trout on the entire stream are picky or protected from anglers by water conditions. Despite its name, Hot Creek is a spring fed. It has aquatic vegetation that gums up a fly, has many braided currents that pull a fly from a drag-free drift and has water so clear that the trout know what you are doing before you do. 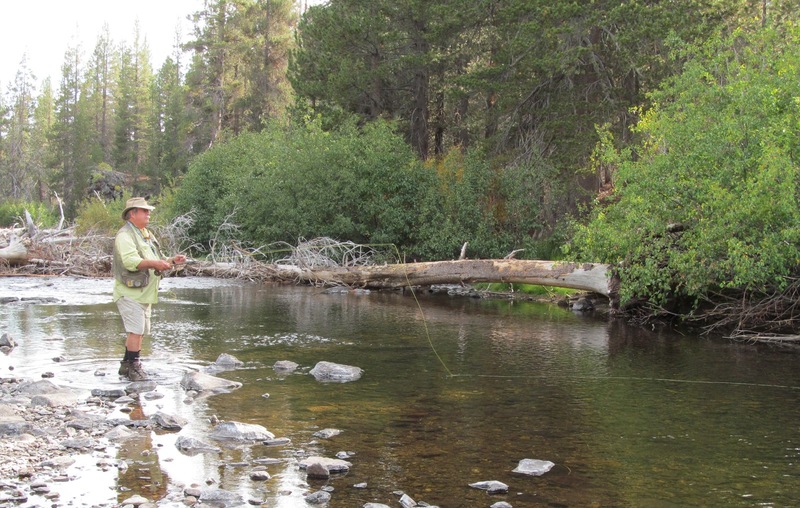 As you might guess from this description, I caught no fish on Hot Creek. However, the Middle Fork was so beautiful and Hot Creek was so challenging that I want to return and try my luck next year! The joy of catching this fish was doubled as it took a Parachute Adams dry fly that Dennis tied and shared.